All students should be covered by a health insurance plan that provides a wide range of benefits at a reasonable cost. The state of Florida requires international students to have health insurance coverage that meets the state’s specific criteria if the student is enrolled in a plan from their home country or if they prefer to subscribe to a plan available in the United States. For information about the federal government Affordable Care Act and the Health Insurance Marketplace that is now open, go to HealthCare.gov. Also, please see the Healthcare Exchanges / Marketplaces Frequently Asked Questions. 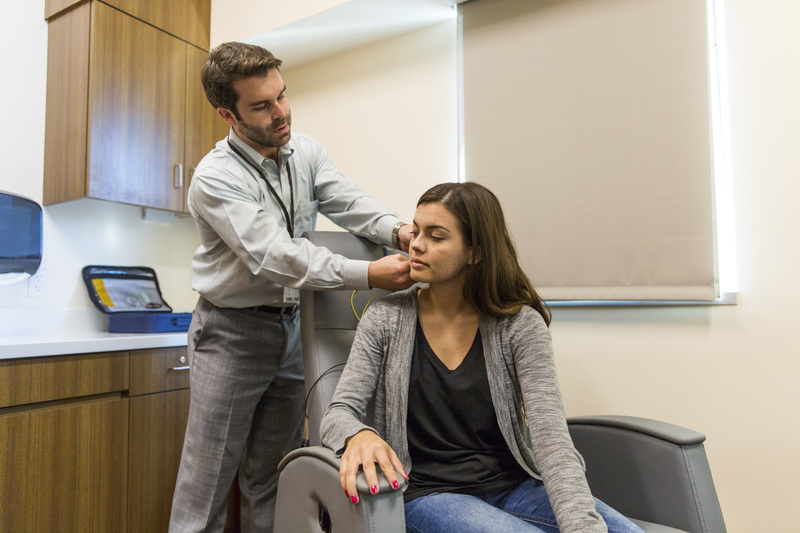 UCF Health Services offers students high-quality, convenient, affordable medical care and education that encourage healthy lifestyles. Health Services includes the Health Center, Wellness Center, Pharmacy, and Dental Center. Students pay a state-mandated health fee each semester during registration to cover the cost of basic health services. Health insurance is available for an additional cost. Office visits are free and unlimited. X-rays, laboratory, certain procedures, and prescriptions are offered at a reduced cost. Specialty clinics include travel, women’s health, allergy injections and immunizations. The College of Graduate Studies pays the premiums for health insurance coverage for qualifying university fellows and graduate assistants with appointments totaling 20 hours per week. To qualify for enrollment in the coverage, students must maintain the assistantship and be enrolled full-time in a degree-seeking graduate program. The enrollment requirement can be met by a combination of online and on-campus credit hours, not to exceed 50% online. Students enrolled in fully online programs are not eligible for the plan. Health insurance coverage is just one of many ways that UCF is supporting excellence in graduate education and training. Please note that students wanting to enroll in the insurance plan must accept the coverage before the end of the insurance company’s open enrollment period for the semester. Once the open enrollment period closes, we are no longer able to add students to the coverage for that coverage period. Communications from the College of Graduate Studies and the health insurance company will be sent to the student’s Knights Email address and mailing address in the university records. Students who anticipate receiving health insurance coverage due to their assistantship or fellowship are advised to keep their contact information current at myUCF (my.ucf.edu). The Gallagher Student Health & Special Risk website Resources and Links section includes helpful guides for students: ways to save with student health insurance, understanding insurance terms and claims, and federal health care reform and your student health insurance plan. It is important that you log into the Gallagher Student Health website at gallagherstudent.com/students/ and verify your enrollment in the coverage. Beginning with the 2015 calendar/tax year, UnitedHealthcare will send students 1095-B forms for tax purposes. Please make sure that your mailing address is up-to-date with the insurance provider. Gallagher Student Health & Special Risk offers Short Term Medical Insurance specifically designed for people who need temporary health insurance for a few months after graduating, are between job or are waiting for other health insurance coverage. Students seek this coverage when they are no longer eligible under a school sponsored plan or their parent’s plan but have not yet been enrolled in an employer plan. Please see www.gallagherstudent.com/products/short-term-medical-insurance for more information. The College of Graduate Studies will schedule the following health insurance information session for assistantship and fellowship students. Information Fair – 11:10 a.m.-12:30 p.m.
Fellowship and Assistantship Students Session – 12:30 p.m.-1:15 p.m.
Health Insurance Session – 1:15 p.m.-2:00 p.m.
UCF Health Services and Gallagher Student Health & Special Risk (service provider for the UCF student health insurance plan through UnitedHealthcare) will be available for student questions during the Information Fair at orientation. In addition, the College of Graduate Studies, Health Services, and Gallagher Student Health & Special Risk will offer a Health Insurance Session in the Pegasus Ballroom. Both new and continuing graduate students may attend the Information Fair and Health Insurance Session.